Learn how to give birth the Easy Way! Tips from someone who learned the hard way. Wondering whether or not you are "built" for childbirth? Afraid you might need a cesarean? Want to know if there is something you can do to make childbirth less difficult? This book can show you! 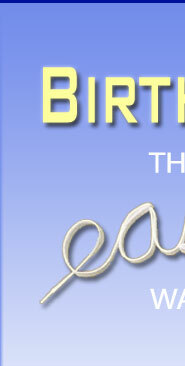 In this book you will discover the secrets of an easier birth from the experts. No, not doctors! The real experts are women - women who have given birth and know what makes childbirth difficult hard and how you can make it easier and less painful! The author was told she had a slim chance of ever having a normal, natural childbirth after her first baby was born by cesarean. Find out just how far she proved the obstetrician wrong! It's time women knew the truth! Birthing the Easy Way will help you break through the walls of fear that prevents you from birthing with confidence. Joyful anticipation - instead of fear - will dominate your birth. 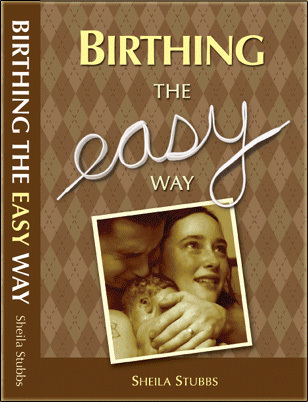 Over 200 pages that will teach you some surprising secrets about giving birth the easy way. Find out what your mother never knew and your doctor will never tell you about giving birth. Note: The author publishes this book herself and sells it at cost. I just think this is a wonderful book. I can't tell you how excited I am to read this and LOVE it. We have to find a way to get this into the hands of more readers! - Teresa Pitman, co-author of Pregnancy and Birth: The Best Evidence and Dr. Newman's Guide to Breastfeeding.